Following on the heels of reports that it is renting yet another storage bond in the city at a cost of $12.5M per month, the Ministry of Public Health has issued a statement which insists that this is not the case. 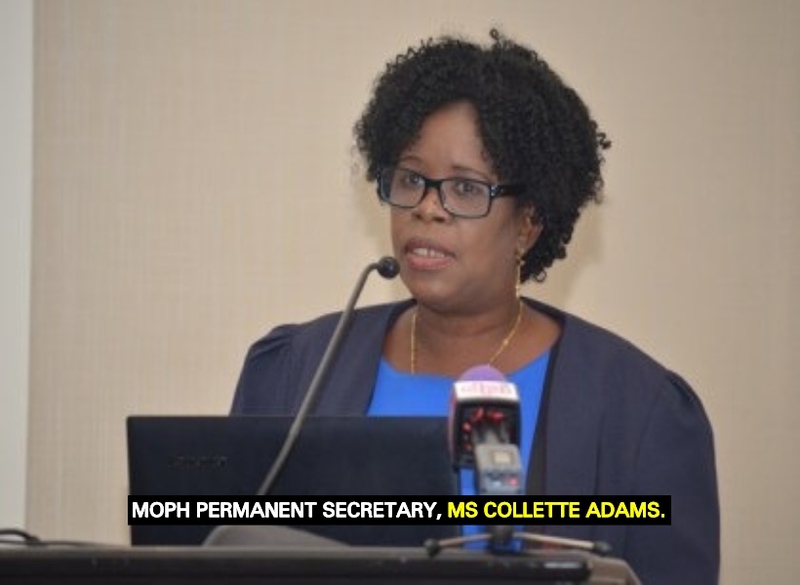 “This is patently false( we haven’t rented any other bond…we haven’t entered into any other contract,” PS Adams assured. Other senior Ministry officials also rubbished the content of the Social Media article. Mr. Glendon Fogenay, Deputy Permanent Secretary (Finance); Ms. Shellon Bess, Deputy Permanent Secretary (Administration); Mr. Oneil Atkins, Director of Pharmacy; and Ms. Malkia Idal, Principal Assistant Secretary (Finance) all denied knowledge of such a deal. In dispelling allegation, the Ministry in a statement said it once rented a bond in Sussex Street, Georgetown for a three-year period from Linden Holdings Inc. but scrapped the arrangement late last year after expanding its capacity to store medical items. “The Ministry is currently building its own bond in Kingston, in the capital, and is expanding its bond at Diamond, on the East Bank corridor to store its drugs, pharmaceuticals and medical supplies,” Public Health Minister, Mrs. Volda Lawrence told the media repeatedly since she took over the reins of the sector from her predecessor, Dr. George Norton, in January, 2017. The Ministry was housing a CT scanner for the BarticaHospital and this prolonged the rental of the Sussex Street bond, Ministry officials have said. It has been reported that the scanner was shipped to Bartica, Cuyuni/Mazaruni (Region Seven) more than two months ago and technicians from the firm Meditron are currently “hooking it up” for use by the hospital, Regional Health Officer (RHO), Dr. Edward Segala, confirmed. “I am on record as saying that as of the 31st December 2018, the Ministry of Public Health will not be renting any more bonds,” Minister Lawrence reminded the local media last year.